Well, I probably won't post any more stuff until the new year; so with that said, I hope everyone has a great Christmas and holiday season; see you in 2013! Stocking stuffers: memory card deals and lens reviews timeline. Check out these fast memory card deals (in limited quantities) from Sony. Get two 32gb cards for $59.95. Two 16gb for $31.95, and two 8gb for $19.95. I have some more lens reviews coming up. 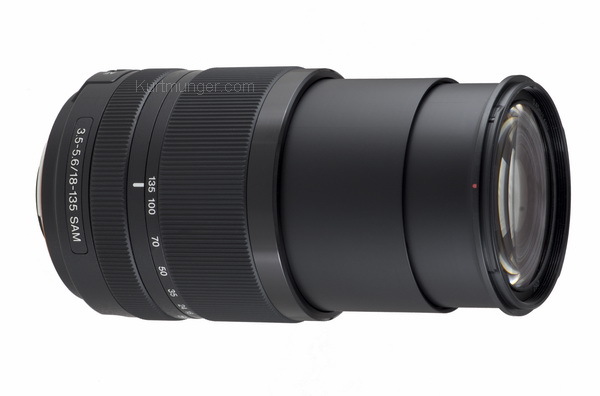 The new Sony NEX lenses 10-18mm F/4 and yet to be released 35mm F/1.8 will probably happen in January---not sure though. I also have four Panasonic micro 4/3 lenses for review, the 12-35mm F/2.8, 7-14mm F/4, 45mm F/2.8 macro and the 45-175mm F/4-5.6. I love these tiny, but high performing lenses, you could (but why) pack all four lenses plus the camera in a medium sized waist pack meant for a FF DSLR and kit zoom!! I'm not sure when I'll be posting these reviews, but it won't be before the holidays. 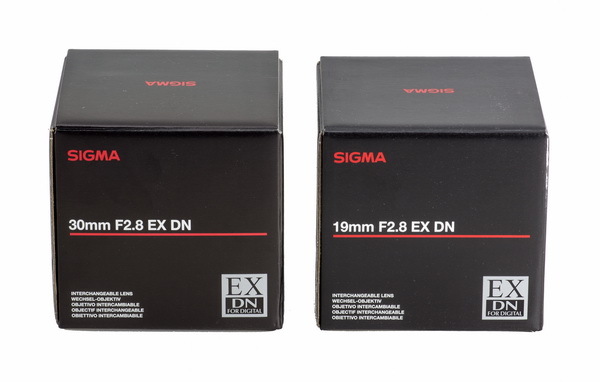 Sigma lens deal ending soon for 19mm F/2.8 NEX. Get the Sigma 19mm and/or 30mm F/2.8 lenses for the NEX system for only $149 until the 27th; that's 25% off the regular price. The Sigma 19mm (review here) is on my best low-light lenses list because of excellent image quality at the maximum aperture of F/2.8. Sony NEX and card deals. A few items that you might want to check out this week: SanDisk SDHCmemory cards are on sale, the extreme 16gb is $18.34, the 32gb is 32.49 with a card reader thrown in. I'd buy two 16gb over one 32gb, you never want too many files on one card! The NEX-5R with kit lens is $648!! 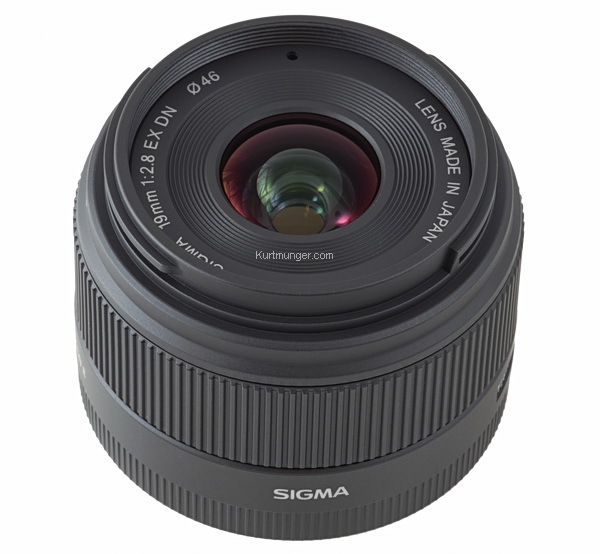 Also, check out the Sigma 30mm F/2.8 for only $149, review here. Sale items for the week. Reminder for Sony mount Sigma HSM buyers. Just a quick reminder for people looking at Sigma HSM lenses for their Sony A77/65 cameras: make sure the lens you buy has the sticker you see below, which means it has the proper firmware update to fully function on those camera bodies, otherwise, Sigma says it won't auto focus properly. Also, if you bought an HSM lens from Sigma without that sticker, check with Sigma to see if they'll update it. Once again, it's only an issue with Sigma HSM lenses for the Sony A77/65. It's been over a year now since the bulletin came out, so most, if not all stock from authorized dealers will have the updated lenses. Go here for the info page from Sigma. 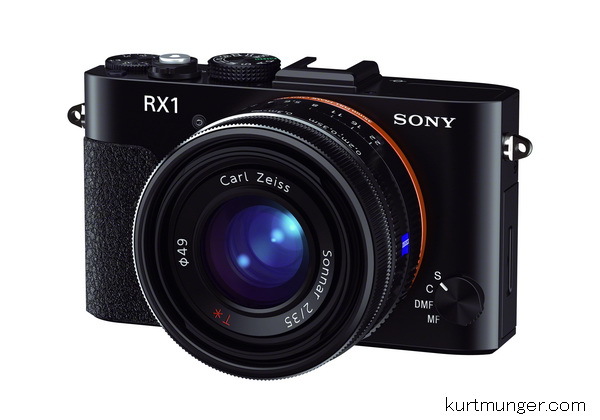 Sony RX1 looks very good in comps. Over at Imaging Resource you can compare the image quality of the new Sony RX1 with many other cameras, such as the Sony A99 or Canon 5D MKIII. I spent a little time with IR's comparometer, looking at the differences between the two Sony cameras. In a nut-shell, the A99 seems to be about a half stop behind the RX1 in noise reduction quality, and that's most likely due to the translucent mirror in the A99 that reduces the incoming light by a half stop. Other differences are the result of the lenses, as the RX1 has a fixed 35mm F/2, and the A99 uses the the CZ 85/1.4 lens (I think). I also checked out the high ISO differences between the two Sony cameras and the Canon 5D MKIII, (which has superb high ISO noise control). It looks like the RX1 is almost identical to the Canon, again, the differences look to be in the lenses, and processing. Canon uses a lot of color noise control, which makes colors dull but keeps the shadow areas less blotchy: Sony seems to leave that alone; it's a matter of taste. I suspect Sony is also using their standard (somewhat strong) luminance reduction, which smears the image just a little bit, and Canon is very light with this. RAW files will show the real differences except for the lens issues. It seems Sony has finally developed a first rate high ISO noise reduction process almost seven years after buying Konica Minolta. Unfortunately, the translucent mirror cameras (SLT) will always be slightly behind the ISO curve until they get rid of the fixed mirror, or go back to a traditional mirror. The RX1 is very high priced at $2800; however, based on what I've seen in the reviews and samples, it's the best walk around camera for low light period! The CZ 35/2 lens looks tack sharp in the centers and mid-sections at F/2, and very good along the sides, which means you can shoot at the widest aperture and still get exceptionally sharp images. Lastly, don't forget the size, it's very small, easily fitting in a small waist pack, but probably not pocketable like the smaller RX100. 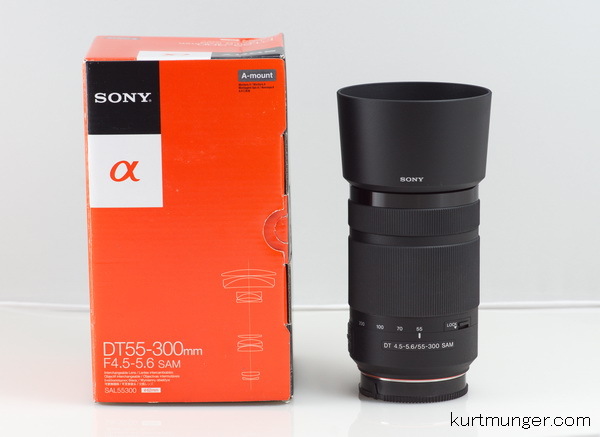 Sony DT 55-300mm F/4.5-5.6 SAM review. The Sony DT 55-300mm F/4.5-5.6 SAM performs quite well optically, especially for the price! Is it a better value than the 75-300mm, or 55-200mm kit lens? Find out here! On the plus side, contrast and resolution are quite good at the maximum apertures at all zoom lengths, but stopping down to F/8 adds a little more contrast to the image. Distortion is generally well controlled, and is not a problem at all with in-camera lens corrections. Also, light fall-off is not an issue, even when shooting in RAW with no 'shading' corrections. The only real downer is the focusing method, it's the same as the 55-200mm and 75-300mm, which extends and turns the front section of the lens; bad news for filter users. 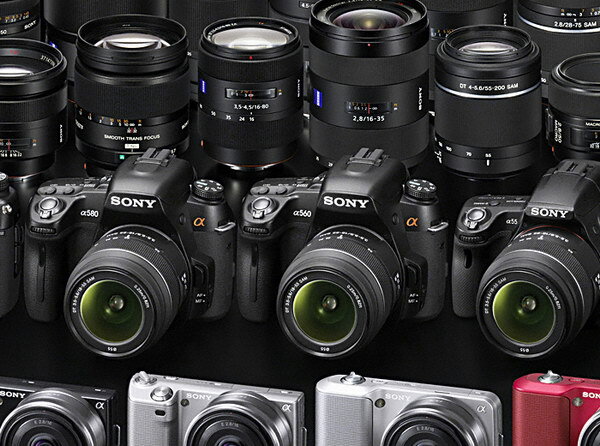 The new firmware updates are ready if you have the Sony A77 or NEX-7. Go here in the US for version 1.06 on the A77, and here for vs1.01 for the NEX-7. Make sure you pick your appropriate operating system and product before you do the update!! The links are for windows 7 64-bit. The very tiny Olympus 45mm F/1.8 turned in a stellar performance. Both landscapers and night stalkers (low-light hand-held shooters) will love this lens, it works great wide open in low light, and is critically sharp at F/4 over most of the image. The lens is so small and light it's almost like a toy, but that makes it even more desirable in my opinion, especially if you're carrying it in a waist pack. 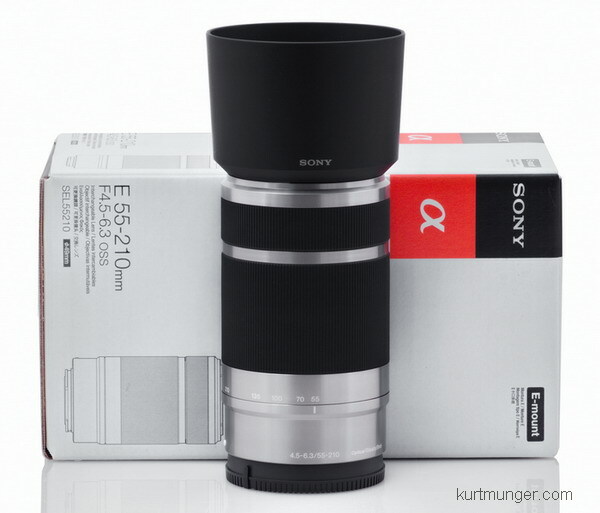 Believe it or not; this lens is very similar in optical performance to the extraordinary Sony CZ 24/1.8 for NEX. 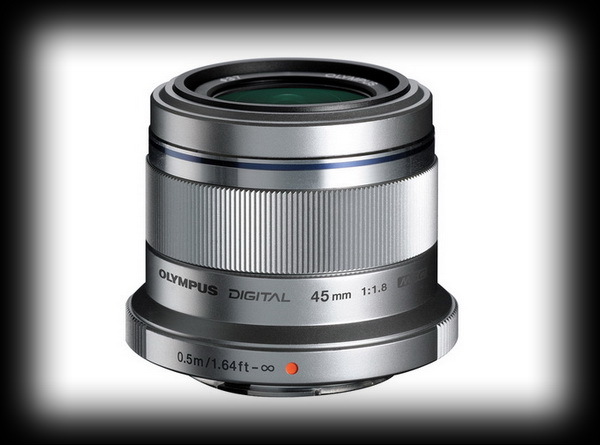 Of course the focal lengths are far different, but the Olympus 45/1.8 represents a great value at $399. Panasonic Leica DG SUMMILUX 25mm F/1.4 review. Check out a really nice lens for your micro 4/3 camera. The Panasonic 25mm F/1.4 has a focal length of 25mm, but has the same basic coverage of a 50mm in 135 film format. This lens is super sharp in the centers even at F/1.4, and has optical characteristics similar to the Sigma 50mm I reviewed last year. The Panasonic Leica DG SUMMILUX 25/1.4 would make a great low light hand-held lens for you night stalkers. Warning; this lens may scare the crap out of people due to a peculiar issue; read the intro to find out! Making your NEX camera work with off brand lenses. A few people have written lately asking why their NEX camera won't take pictures with the fabulous Rokinon 8mm F/2.8 fisheye lens that people are buying like hotcakes. I mention this issue in the introduction for these types of lenses, so always remember to read the whole review before purchasing something, or sending a lens back! Anyhow, here's your solution to the problem; on most NEX cameras go to 'menu' and select 'setup', scroll down to where it says 'Release W/O lens' and select 'Enable'. 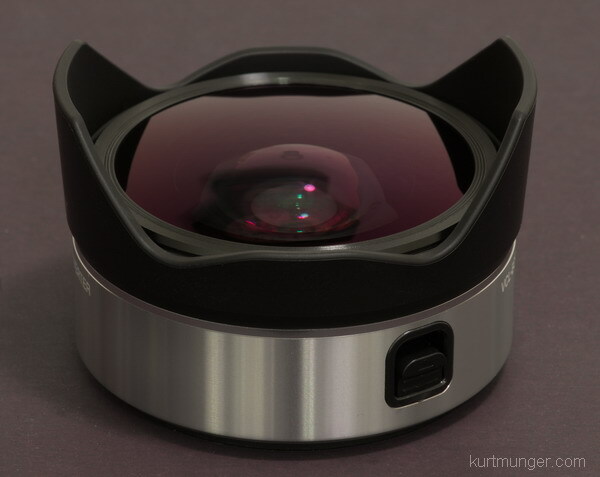 This will allow you to use off-brand lenses that have no contacts on the base and do not communicate with the camera. By default, the camera won't let you release the shutter without a lens, it does this to protect the shutter mechanism from being damaged by curious people that remove the lens and mess with the camera or try to clean the sensor. Use 'cleaning mode' to clean the sensor. Sony LA-EA2 NEX adapter review. 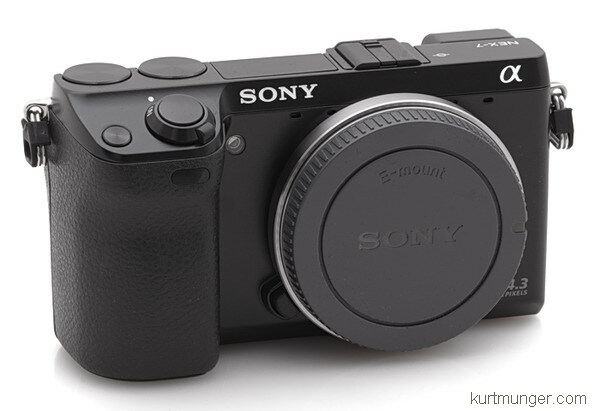 I ported the Sony NEX LA-EA2 adapter review from photojottings and put it on this site, located in the lens review page, in the NEX section. Don't know why I posted it at PJ. 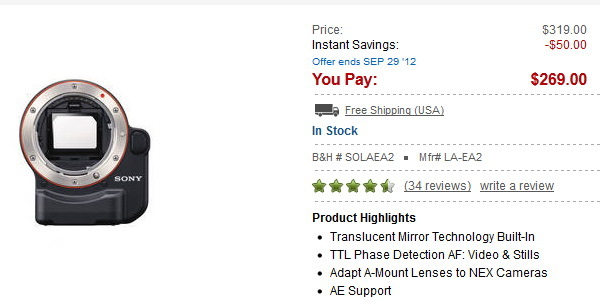 B&H Photo is offering a big discount with free shipping through most of September. New 'Best low-light lenses' page. I've posted a new page recommending what I think are the best low-light lenses for Sony cameras, NEX, APS-C and full frame SLT. The choices were culled from this page; all the lenses I've reviewed so far, now about 96---not including adapters or teleconverters. My lens selections in the best low-light page, (now on the nav bar) were based on my extensive use in low-light conditions, either through testing for the review, or owning the lens outright. Only lenses with minimum apertures of F/2.8 were considered, and the centers and mid-sections needed to be quite sharp at F/2.8. I gave soft corners a pass as they may not be very noticeable in low-light depending on composition and light fall-off. 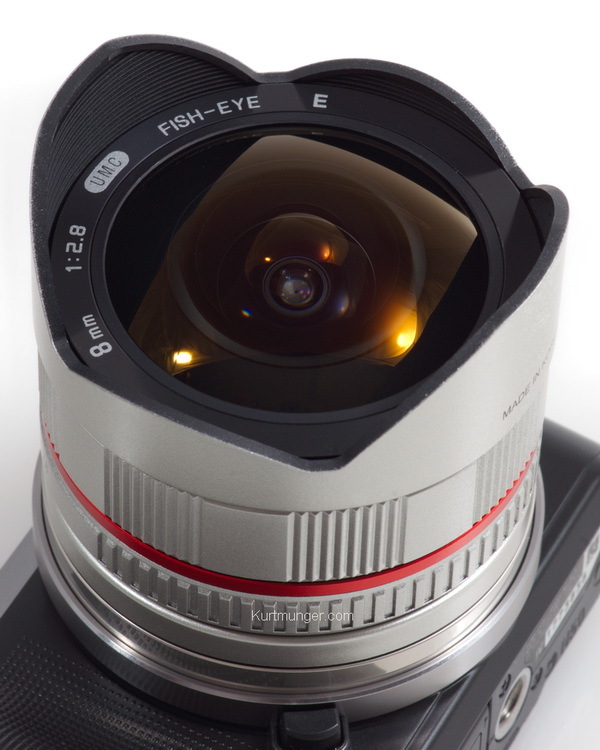 Rokinon 8mm fisheye (for NEX) review. The Rokinon 8mm F/2.8 fisheye NEX lens performs superbly; there's nothing negative to say about it other than sun flare is strong at times, but that may enhance your image depending on the feeling you want to present to the viewer. This fisheye is very small, lightweight, has almost no color fringing, and is very sharp from F/2.8-8. It would make a nice low light lens too as it performs great at F/2.8! Full review of the Sony DT 18-135mm F/3.5-5.6. NEW! Check out the new 18-135mm lens from Sony. It features a noticeably quicker and quieter 'SAM' focusing system; ("SAM II") plus an aluminum mount--a first for Sony's DSLR lenses. The 18-135mm is a typical travel zoom optically speaking, but worth a look anyways. I've made a comparison with it and the CZ 16-80mm at three different focal lengths; the 18-135mm has surprising results within a narrow range. I'm well into the Sony 18-135mm review, which should be ready in a week or so. Also, I just received the new Rokinon 8mm (for NEX) fisheye lens, specs here at top, so look for that review in August. This little fisheye seems pretty darn good based on my limited use. Manual focusing is easy; set to infinity if you're at F/5.6 or smaller, and start shooting! 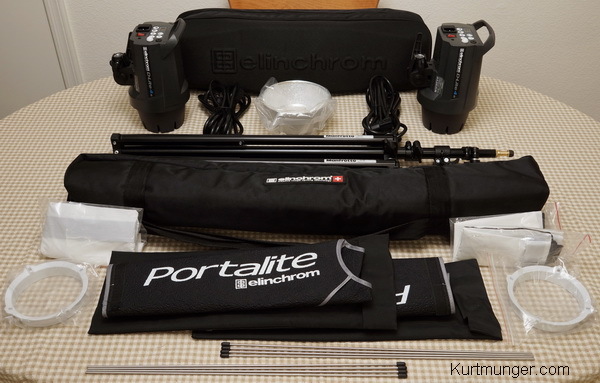 elinchrom D-Lite 4 it review. If you've ever found yourself looking to get more lighting power for interior spaces, or an inexpensive but reliable system for portraits on location, the elinchrom D-Lite 4 it kit may be your answer. I purchased two of these for lighting interior spaces, and found they're actually less expensive than buying camera flashes, and much more powerful too. Can't afford fancy strobes? Find out how much it's going to cost to get enough camera flashes to equal the light output of these two 400ws heads! 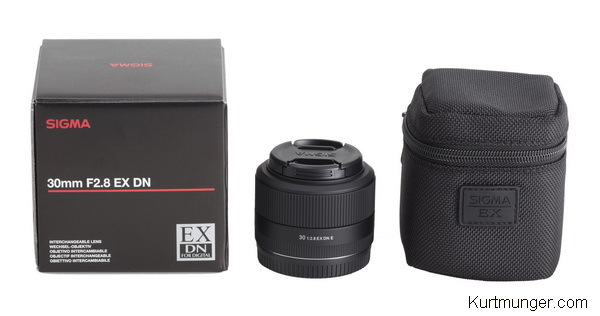 The Sigma NEX 30mm F/2.8 EX DN lens review is up. The focal length and speed of this lens doesn't really add up to a wining combination in my opinion, although it did turn in a good performance for resolution and contrast. In other areas, it needs work. Click the pic for more. Sigma 19mm F/2.8 EX DN review posted. 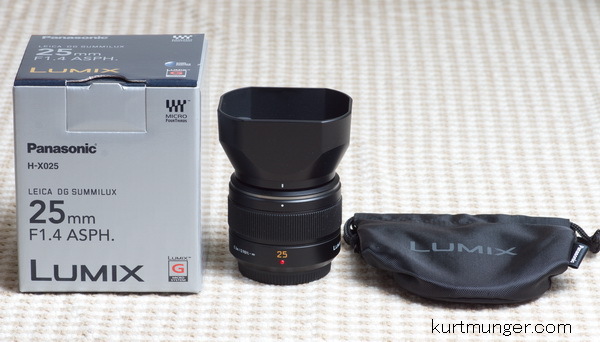 Check out the full review of the Sigma NEX 19mm F/2.8 EX DN lens. 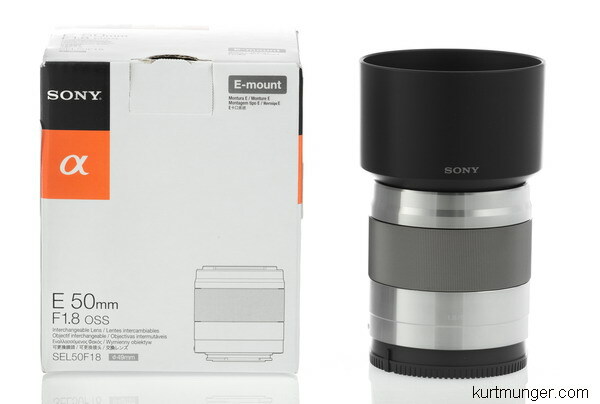 At first glance, this seemed like an oddball lens that might not fit well with the current line-up of Sony NEX lenses; but as it turns out, it does some things very well, and may fit the needs of low-light, hand-held street scene photographers. Next up for review, Sigma 'E' 19mm and 30mm. I've finally found the time to get crackin' on more reviews, next up will be the two small Sigma for NEX primes, 19mm F/2.8 and the 30mm F/2.8. 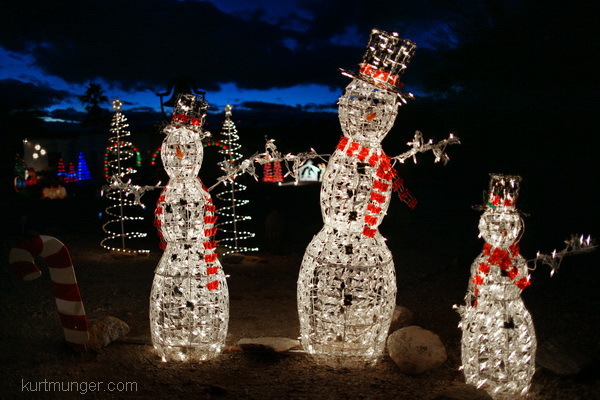 I'll be posting some full size images shortly at Photojottings, probably around the first of the month. 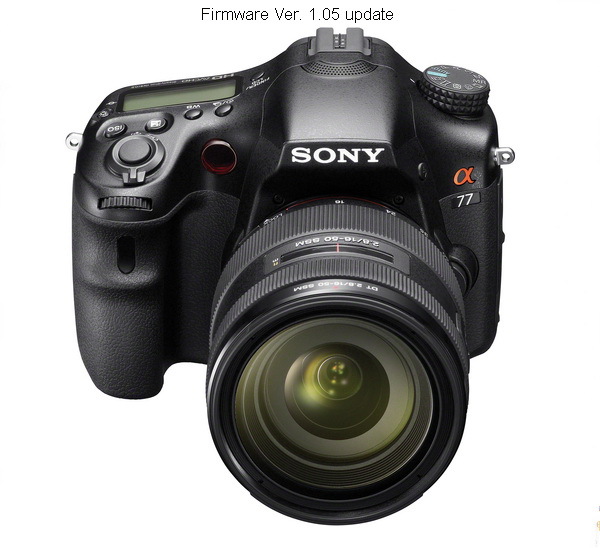 Sony firmware update for A77. If you're looking for a little better performance from your A77, you might want to update the firmware to Ver. 1.05. Check your camera by going to menu-->setup-->version. This update has been around for a while now, but I just bought the A77 about a month or so ago and thought I'd use it first to see how things went before changing the firmware. I was disappointed in the dial lag when changing settings, the A700 is much more 'crisp' in that department. The latest update corrects the setting change lag on the front and rear dials, and improves the shutdown time; and I can confirm it actually does this. It's not quite the same as the A700 in that the dial change speed is not quite instantaneous, but it's close. It's also supposed to help AF speed in 'wide' contrast situations, but I haven't done any testing yet to try and confirm that. With the new update, six more lenses are covered for compensations like distortion, color fringing and vignetting. Sony announced some new products recently, including two new lenses, and two cameras. The new DT 18-135mm F/3.5-5.6 is priced at $498, while the new black 18-200mm NEX lens is $848. I"m not sure if that lens is much difference from the current NEX 18-200mm except for the color. On a second look, I think it's a rebadged Tamron B011. I'll definitely be reviewing the new DT lens, not sure about the 18-200mm, or the A37 and NEX-F3 cameras. More reviews coming up in June, so stayed tuned! I've managed to get everything updated on this site in less time than I originally thought, which was by the end of the month! So for now, all Sony lens reviews have the current price, a link to B&H Photo (of course), an MTF chart supplied by Sony, although who knows if they're accurate, and any alternative lenses that I think someone might be interested in, like a less expensive Tamron or Sigma model, or even another Sony lens that might be a better fit. All the other stuff I've updated is listed below. Note; the prices listed in the Sony lens chart and NEX lens chart are the original MSRPs, that way we'll know what the original prices were when the lens came out, I think it's interested to know that. The current prices are in the reviews if you want to know. A few people thought I forgot to change some prices in the charts, but I added a paragraph (last one) in the text to point this out. The long dead Reader's Digest page has been deposited in the 'circular file', sorry, it just didn't work out, but that's what the new site is for! More good things are coming up, so check back every so often!! 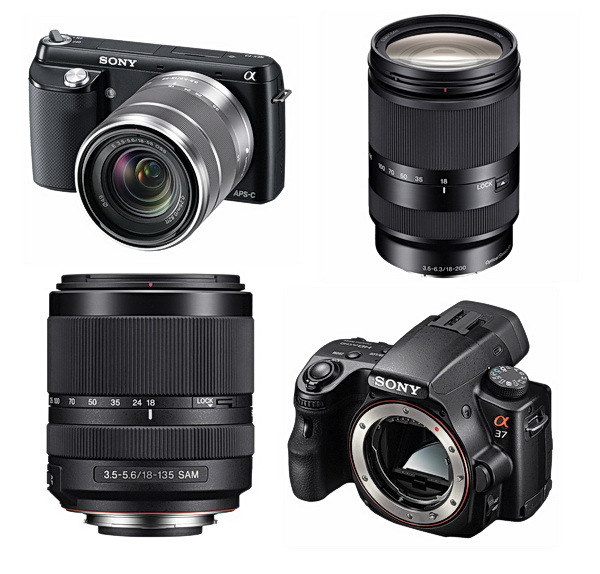 I've fully updated the 'Recommended accessories' and 'Recommended cameras and lenses' pages. Again, the products on these pages aren't on my 'wish list' or stuff I think is neat; they're what I use daily for work, or for adding to this website. All of the products listed I own, or have owned in the past except for some of the cameras, which change so often I can't keep up, but I still feel obligated to recommend what I think are the best new cameras. The Sony and Minolta AF lens price guide has also been updated, although the prices now are close to what they were about a year ago when I last updated it, so no big deal. Also, the Sony lens chart has been updated with the new lenses recently from Sony like the 16-50mm F/2.8 and 500mm F/4 G. This page now covers only alpha lenses. New NEX lens chart page on the NAV bar. I've decided to list the NEX lenses on a separate page, in the same style as the Sony lens chart above, however, for this chart I'll be showing NEX lenses from all manufacturers, like Sigma and Tamron. Canon has brilliantly achieved what Sony tried so hard to do in 2005 with the R1, and that is to make a large sensor, fixed lens camera that provides the same image quality of a DSLR, at the same price point or less. However, Canon had a design constraint that Sony never had to deal with; small size. Today, there are many small mirrrorless camera systems out there with great image quality, like the Panasonic/Olympus 4/3, Samsung, and Sony NEX, plus the smaller sensor Nikon 1 system that isn't quite as good as a DSLR, especially at high sensitivities. The Sony VCL-ECF1 is a cool little add-on lens for people wanting a fisheye experience using the Sony NEX system. While this converter is not an optical masterpiece, it actually works well, and can be very fun if you know how to use it. It's not for 'getting it all in' in a general sense, so don't use it simply as you would a wide angle lens. Check out my boring Sony 16/2.8 fisheye review for ideas, or Flickr for interesting fisheye compositions, some good, some bad. 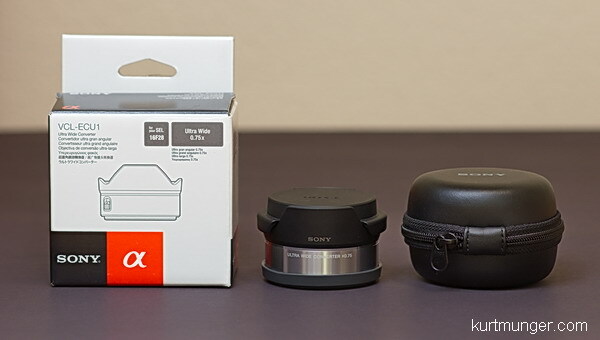 Sony designed the NEX 16mm pancake lens to be used with a couple of different converters, one of which is the ultra wide angle 0.75x. This converter gives you the same coverage as 12mm, or 18mm in full frame (135 film) format; that's pretty wide! The Sony NEX VCL-ECU1 ultra wide angle converter is very handy if you're going on vacation and don't want to take a bunch of gear, or if you want to go really wide once in a while, without the expense of an ultra wide zoom lens. With that said, the small, Sony NEX ultra wide converter turned in a pretty good performance for an add-on device, but if you look at your images at the pixel level, you probably won't mistake it for a good ultra wide angle lens. See if this converter is right for you! The newest Sony NEX lenses have been very impressive so far; including the spectacular, but expensive CZ 24/1.8, the inexpensive 50mm prime reviewed a couple of weeks ago, and don't forget the nice 55-210mm zoom. 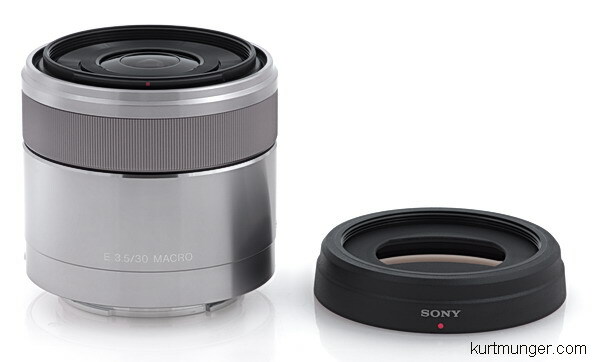 Unfortunately, Sony's hot streak has come to an abrupt end with the new 30mm F/3.5 macro lens. It's not that it's a bad lens, it just isn't very impressive. If you want a true macro lens, and don't mind using manual focus, along with a working distance of about an inch at the max reproduction rate, then go for it. If you're looking for a small sharp prime as a walk-around lens in this focal length, I'd look elsewhere, like the kit (18-55mm) lens. With that said, there are a few good qualities to mention; like the lack of distortion, light fall-off and a good macro shot. Well, after all, it is a real macro lens, and it does a good job at close focus, but you probably won't be able to achieve a 1:1 size in the field, especially when you have to get so close to the subject. Sony didn't include OSS (optical SteadyShot) inside for some reason, maybe they had a certain price point in mind. Without OSS, there will be more camera shake and fuzzy pictures, which may be really noticeable when shooting close to the subject. Head to the review and see if the Sony NEX 30/3.5 macro meets your needs. The Sony NEX 50mm F/1.8 OSS lens is a welcome addition to the NEX family, producing sharp images with good contrast at nearly all apertures, very smooth bokeh, and almost no distortion. While there isn't really much to dislike about the lens, there are a few qualities I'd like to see improved. One, the reproduction ratio is a little low, so you can't focus very close. The other thing I noticed right off is; I see a somewhat high amount of axial color fringing, (occurring all over), but that kind goes away as you stop down, and isn't so noticeable in low light. I'd consider the color fringing issue to be minor to moderate depending on how picky you are. Landscape shooters using smaller apertures (F/5.6-8) should not be bothered by this, or people shooting in low-light with limited DOF. Check out the review to see if it meets your demands! If you're wondering how this lens compares to Sony's AF 50mm F/1.4; be advised the Sony NEX 50mm F/1.8 OSS will out-perform it in almost all areas, check out this indoor, controlled comparison. 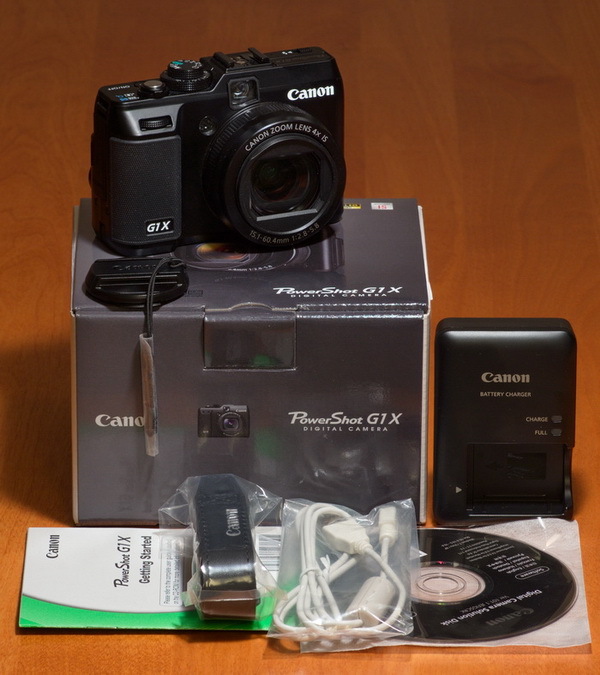 The NEX-7 turned in a great performance, especially when using high quality lenses, like the just reviewed CZ 24/1.8. With that combo, the resolution is almost unbelievable! Check out the review, and make sure you read the bottom part; that's where all the good info is; the rest is basically an owner's manual quick-start guide. For those of you curious about how the A900 with an equivalent FF lens like the Sony 35/1.4 G would do against the NEX-7 and CZ 24/1.8; sorry, no contest, the NEX would wipe the floor with the A900-35/1.4, although that's a hard jab at Sony's full frame commitment more than anything else. A good portion of Sony's FF lenses are Minolta designs from the mid to late 1980s. If Sony improves the AF speed on the NEX-7 or subsequent models to good phase detect levels, you can toss your DSLRs in the trash can, I know I will. B&H photo is getting unannounced small shipments of NEX-7 cameras on a regular basis, so if you want one you may as well order it now. As always, you can return it if you don't like it, or in the current market, sell it for at least what you paid for it, or possibly more. The Sony NEX 55-210mm F/4.5-6.3 OSS telephoto zoom lens is relatively inexpensive, and provides image stabilization, super quiet focusing, along with a nice build quality. Considering the price point of this lens, the optical performance is generally strong throughout the focal range, especially at the long end, which is probably where most people will be using it if they have the standard kit zoom available too. If you have a travel zoom, like the Tamron NEX 18-200mm or the Sony NEX 18-200mm, and find yourself using it mostly at the long end, the Sony 55-210mm would be a much better choice if sharpness is your major concern. This lens has been selling like hot cakes, and B&H Photo's inventory has been wiped out, but I'll try to keep up with the status and let you know when any new stock becomes available. 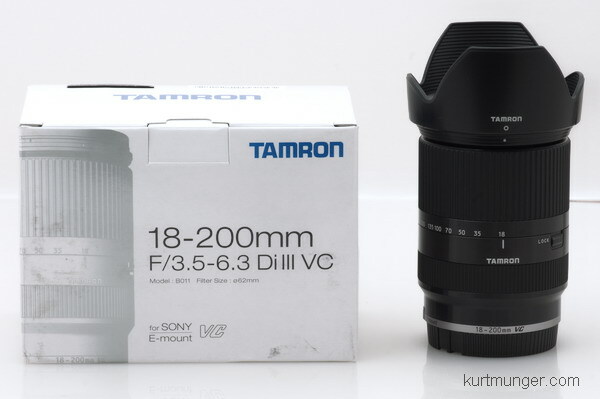 The Tamron 18-200mm e-mount lens review is finally done. The skies have been mostly cloudy here lately, so it took some time to get all the test shots I needed. 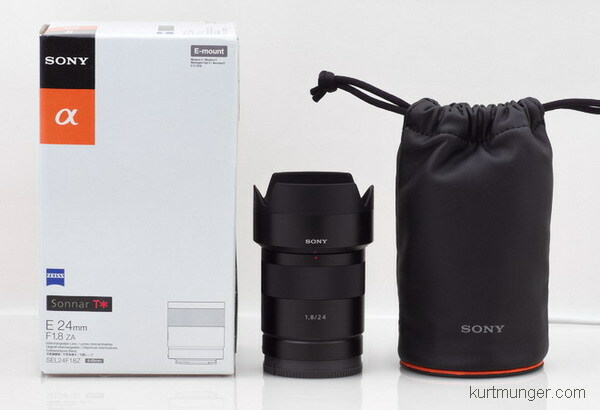 This lens has optical characteristics that are very similar to the Sony 18-200mm NEX, also reviewed here. Which one is better? Let's put it this way; optically they're about the same, but if a smaller and lighter package is important to you, try the Tamron; however, if you like taking sweep panoramas, get the Sony version. Tamron screwed up something in the lens protocol, and the panoramas are improperly exposed, blurry and badly stitched as a result. Tamron claims they're working on a fix, so we'll see. The good news is that the lens compensations adjustments in select NEX cameras correct the Tamron for CA, distortion and light fall-off or ‘shading' as Sony calls it. It's probably using the same corrections as the Sony 18-200mm. The Tamron 18-200mm is optimized for sharpness at F/5.6-6.3, which is fairly impressive, and seems to be better than the Sony at the long end around F/6.3. At the wide end, (18-50mm), both lenses are very sharp across the frame, but both seem to lose contrast as you zoom out to 200mm, especially off-center. I don't have the Sony NEX 18-200mm anymore, so I didn't compare the two directly. Here's a little tid-bit that will make some people mad: I'm glad I don't have the Sony 35/1.4 G lens anymore, if I would've compared the Sony 35mm F/1.4 G using the A900, and the NEX CZ 24mm F/1.8 using the NEX-7 at apertures of F/1.8-4, the 35mm F/1.4 G would literally look like it was focused improperly, there would be that much difference at those apertures! Both cover the same area and have the same megapixels, so it's a fair comparison. Believe it or not; I'd prefer this combo (NEX-7 and 24/1.8) to the A900 with either the CZ 24/2 SSM or 35/1.4 G, even if they both cost the same, why? The NEX-7 and CZ 24/1.8 performs better than the A900 with either of the two lenses mentioned. Plus, I don't like the bulk and weight of the full frame equipment, I enjoy traveling light, even if it's just across town.